As we age there are many things that tend to happen to our health and well being, one of these is worsening balance. 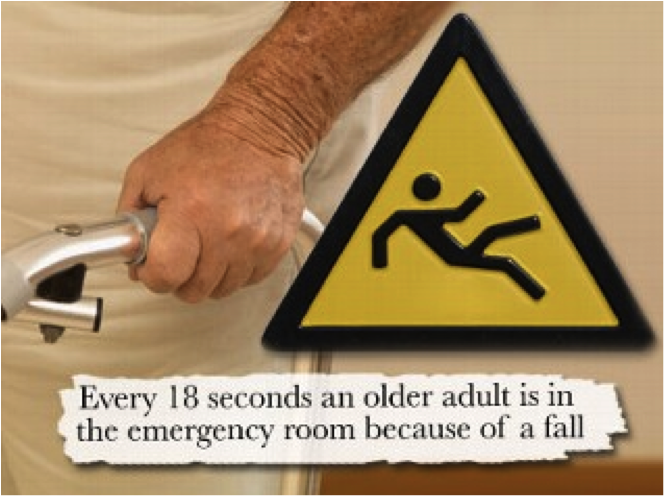 As our balance worsens the risk to suffer a fall which can then result in a fracture, or worse, increases. While the worsening balance is typical in older adults it does not mean it is normal, nor does it mean it has to happen. You can reduce your fall risk by taking steps to improve your balance, in our office we use innovative technologies to reduce fall risk in an efficient and effective manner. Balance training is a large part of the BStrong4Life program and as a result our clients and patients notice improved balance in as little as one month of use. What is really neat is starting this week we added a new tool to measure and track balance. We now use the BTrackS-Better Balance balance measurement tool which determines the amount of sway a person has during quiet standing. Body sway is an important indicator of balance, as it has been shown that an increase in sway leads to a greater risk of falling. Body sway is calculated by the BTrackS-BB software using forces sensed by the BTrackS balance Acquisition Plate. We test baseline at the initial visit and test periodically while we are working with our patients and clients in the BStrong4Life system. A key component to the BStrong4Life program is our use of Power Plate’s whole body vibration (WBV) platforms. WBV platforms that create vibration forces in multiple planes, like the ones built by Power Plate, have been shown to be effective in strength training, stretching, and balancing training and in improving a number of other conditions. A recent paper published in Maturitas the European Menopause Journal found that an 8 week program of WBV training was effective in reducing fall risk in 29 80-95 year old nursing home residents. This paper and others like it confirm what we see with our patients on the BStrong4Life program, that it is effective in improving balance and thus reducing fall risk. What is especially great about the BStrong4Life program is that it is not limited by one technology or by a single exercise we combine several innovative technologies with simple exercise to accomplish some truly amazing results in the lives of our patients. If you are looking to improve your balance and reduce your risk of suffering a fall, give us a call we have the program tailor made of you.